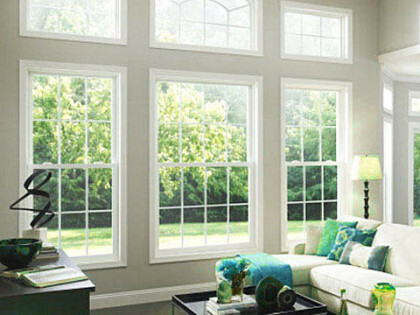 Rich vinyl window frames are usually made of polyvinyl chloride (PVC) with ultraviolet light (UV) stabilizers to keep sunlight from breaking down the material. Vinyl window frames do not require painting and have good moisture resistance. The hollow cavities of vinyl frames can be filled with insulation, which makes them thermally superior to standard vinyl and wood frames.